From coffee shops and restaurants to parks and local stores, The Daily’s 2019 guide to the best places in Evanston is finally here. 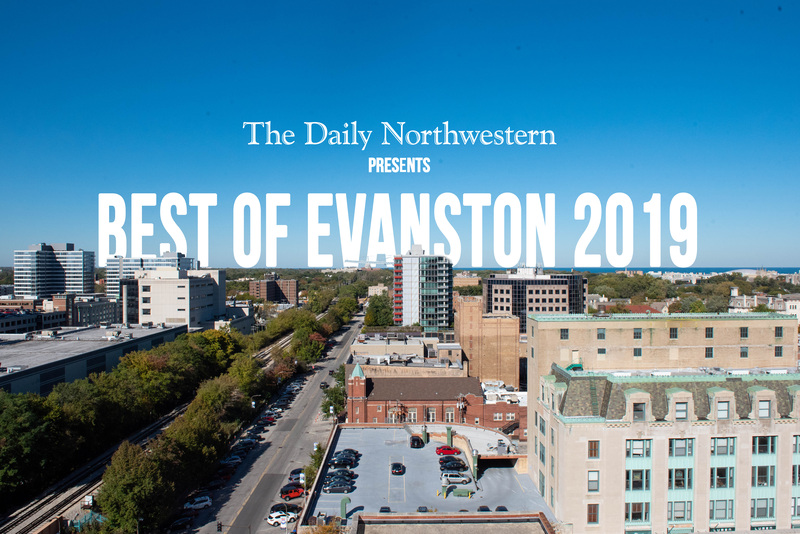 Based on your nominations and votes, we compiled The Daily’s seventh annual Best of Evanston. Scroll to see who won. The Evanston community has spoken (or rather, voted), and for the first time in seven years, Bat 17 has been upset in the Best Restaurant category. This year, Tomate Fresh Kitchen — the Evanston mainstay serving up Guatemalan-inspired dishes — has taken the top prize. Tomate, with no seating, an early closing time and a location on Noyes Street set away from downtown Evanston, might seem like an unlikely pick for Best Restaurant in a city rife with options for eating out. 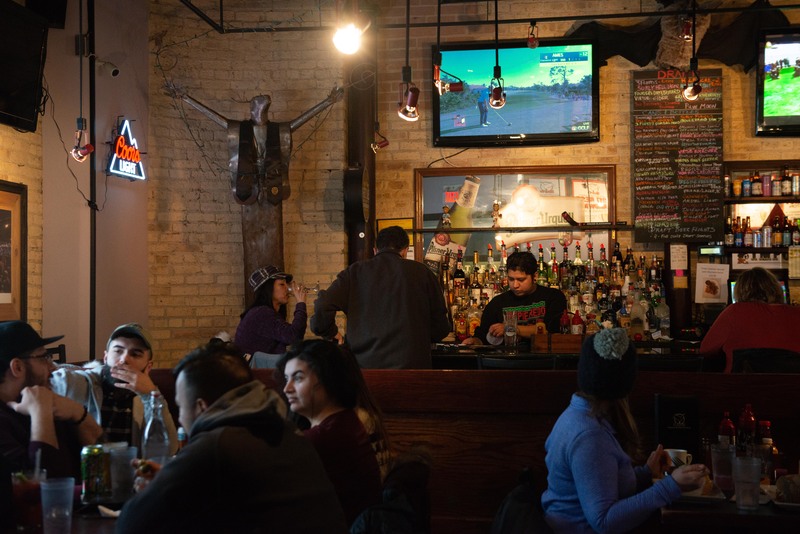 However, for the Northwestern students and Evanston residents who rely on the takeout spot for their fix of high-quality burritos, tacos and empadadas, it’s surprising Tomate is just now claiming the title. 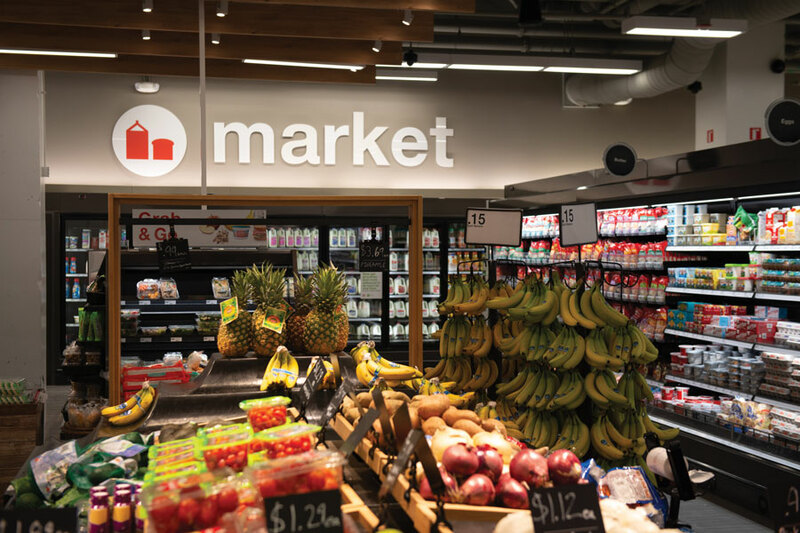 Tomate, 914 1/2 Noyes St., opened in Evanston about five years ago, when owner and chef Tania Merlos-Ruiz decided to turn her popular farmer’s market stand into a brick-and-mortar location. Born in Guatemala and trained in the French culinary style, Merlos-Ruiz has developed a short but varied menu at Tomate. The tacos come al pastor or topped with duck confit and pomegranate, and the empanadas are filled with everything from chicken and cabbage to butternut squash and cranberries. The restaurant — shockingly small given its popularity — often sports a line out the door and down the block at lunchtime. It is bright and lively, with purple, blue and orange walls, and it seems to always be full. Next time you are walking down Noyes Street, let the distinctive smell of fresh tortillas pull you into Tomate and indulge in simple, satisfying food. When you can’t stop going back, you can blame me. My secret? I was never that into Chicken Shack. I’m very particular about my fried chicken, and the Ridge Avenue mainstay just never did it for me. So imagine my excitement last August when David Yoo and Will Song opened 10Q Chicken: a Korean-inspired panko paradise. A harsh winter may bring fewer chicken connoisseurs to the Korean-inspired fast food restaurant than when it first opened, but the storefront, 816 Church St., is still churning out some phenomenal eats. Of course, the star is the chicken — sorry, vegetarians. 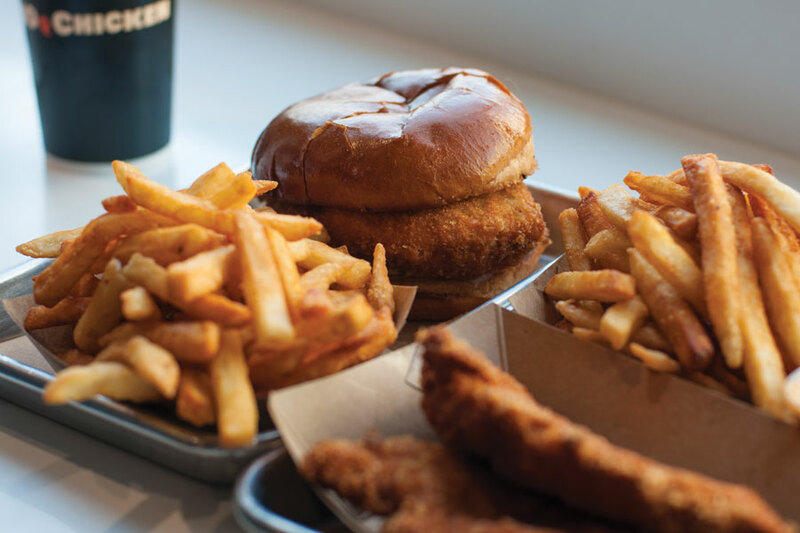 When I bit into my first chicken sandwich from 10Q — its namesake dish, “The 10Q” — I knew I was in love. It was exactly how fried chicken should be: crispy on the outside, juicy on the inside. A pillowy brioche bun was the ideal, melt-in-your-mouth vessel for the chicken, dripping with creamy, spicy togarashi mayo. Some sweet and tangy pickled radishes provided freshness, perfectly balancing the sandwich. Just four main ingredients sent me to chicken heaven. The secret is the panko. A Japanese style of breadcrumbs, panko is lighter and airier than regular breadcrumbs. It absorbs less oil, minimizing grease and maximizing crispiness. Science never fails. Don’t even get me started on the fries. 10Q would still be worth the trip to downtown Evanston without them, yet they went so hard on them anyway. Light and crunchy, they’re an indulgent side that makes your chicken chowdown that much better. But the killer yet classic sandwich and fry combo isn’t a reason to overlook the rest of 10Q’s menu. Whether it’s an order of Kangnam Style wings, a hearty Korean BBQ bowl or the most jumbo chicken tenders north of the Mason-Dixon (yes, they’re just as juicy as the sandwiches), you really can’t go wrong. Add some cheese or bacon to your fries and finish with a cup of smooth matcha soft serve, and you’ll never want for another chicken restaurant. Urbane yet welcoming with a vibe that any Midwestern dad would call “painfully hipster,” Cupitol takes the (pan)cake for Best Brunch in this year’s Best of Evanston. Cupitol, 812 Grove St., boasts flaky croissants, avocado toast, smoothies served in mason jars — and, of course, an array of coffee and espresso drinks that only add to the experience alike to that of being in a European cafe. The restaurant, which opened in 2016, rose up to beat Le Peep, the winner of best brunch for four consecutive years. The breakfast menu includes the traditional pancakes, waffles and breakfast sandwiches, but also offers vegetarian and vegan meals and the option to substitute gluten-free bread. According to its website, Cupitol also uses pasture-raised eggs from Seven Sons Farm, located in Roanoke, Indiana. Breakfast foods are served until 2 p.m. Monday through Thursday, and 2:30 p.m. the rest of the week, making Cupitol the perfect place to cure a Saturday morning hangover — or get caffeinated and study for Monday’s midterm. Customers can sit at cozy two-person tables, study at a high-top or sit in the lounge, where the lighting is perfect for an Instagram post of your coffee, your friend’s smoothie and the Nutella banana waffles you’re sharing to recover from last night. It’s official — our readers aren’t fans of deep dish pizza. Blaze Pizza, located at 1737 Sherman Ave., beat not only Giordano's but also Lou Malnati's. The real tragedy is students living on campus don’t realize they can get essentially the same pizza at MOD with a meal equivalency. But alas, the people have spoken — they love Blaze. At Blaze, there are two schools of thought: keep it simple, or load it up. With the option to “build your own” pizza, customers can customize everything from sauce to cheese to toppings to finishes. This freedom to choose means there’s a pizza for every person and every mood. Blaze is often a solo endeavor, but it can also be a great date spot. Imagine you’re out with a wonderful guy, but suddenly you learn he’s a pineapple-on-pizza person. Don’t fret! You can keep pineapple on his half and keep your pepperoni safe! You can tell a lot about a person based on what type of pizza they get. Jalapenos and a balsamic drizzle? You’re in for a wild night! Basil and tomato? Looks like you’ll be spending your evening in the library. But if you find someone with some creativity when it comes to pizza design, that’s when you’ll know you’ve found a keeper. 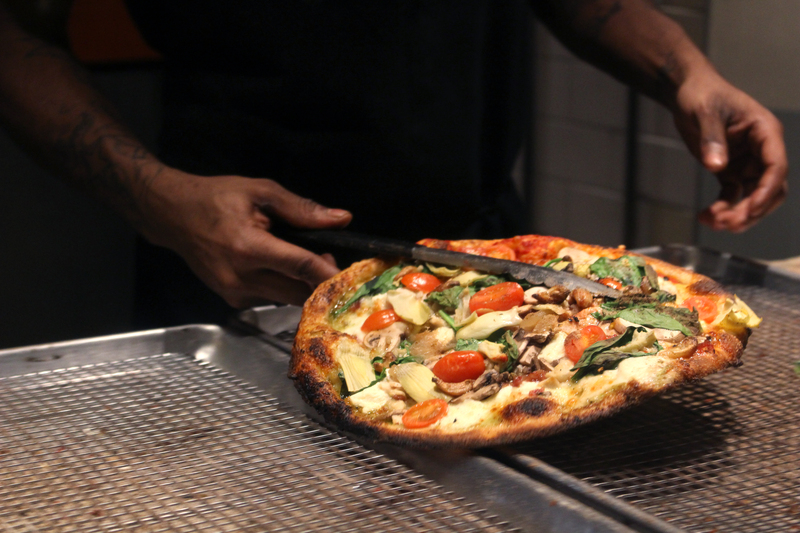 You have a lot of options at Blaze, but if you get the combination right, you’re well on your way to enjoying a slice of the best pizza in Evanston. 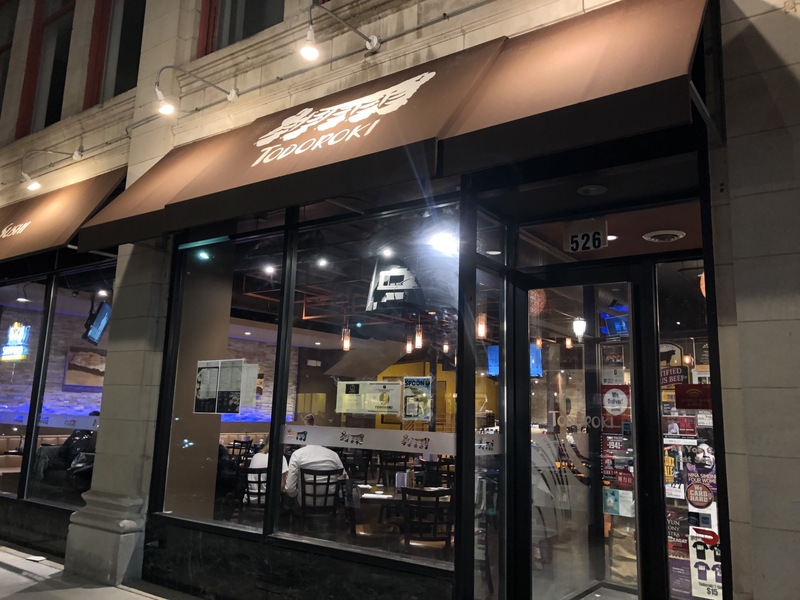 Seasons change, students come and go and leaders rise and fall, but one thing stands forever, or at least for four straight years — the dominance of Todoroki Hibachi and Sushi as Evanston’s best sushi restaurant. Located at 526 Davis St., Todoroki offers an extensive menu, from traditional sushi staples like a spicy tuna roll to a long list of creative signature rolls. Whether it’s a twist on a classic, like the Hawaiian sunrise roll, which loads a spicy tuna roll with shrimp tempura and red tobiko, or a feat of physics like the Koopa, which comes with six different components, including three types of fish plus shredded crab meat, there’s a roll for everyone at Todoroki. A word to the wise: Be careful about offering to split a roll with a friend. Have I ordered a shared roll and then eaten every piece? Reader, I have. If you want more fish with your fish, the tuna tartar appetizer is mouth-wateringly delicious, served with avocado and an egg yolk. The tempura, edamame and gyoza are all also delicious and worth trying. Other popular features are the all-you-can-eat deal and the BYOB policy in place Sunday through Thursday. You can interact with Todoroki in other ways than just dining there. Every Halloween, the restaurant hosts a sushi eating contest, the winners of which receive free all-you-can-eat sushi once a week during most of winter quarter. Todoroki also holds sushi-making classes with the head chef. Open for lunch and dinner every day, a meal at Todoroki will satisfy your sushi fix and will provide a chance to try something new, be comforted by an old classic or, in October, competitively eat your feelings. With the downfall of Cheesie’s, Burger King really didn’t have to put up much of a fight to win Best Drunchies. Its win isn’t much of a surprise since it is the only 24/7 place to get greasy, savory junk food to wash down the aftertaste of lukewarm vodka. Burger King, 1740 Orrington Ave., doesn’t have amazing food, but it is predictable, which is what makes it so good. A drunk brain doesn’t have the mental capacity to comprehend new, exotic tastes that makes your taste buds tickle with curiosity. A drunk brain is looking for comfort-food — $1 for 10 piece nuggets. If you don’t dwell too much on what makes the food so cheap, the nuggets are surprisingly crispy yet moist. The breading has specks of pepper in it, which is an unexpected gourmet touch. And each bite of the nuggets warms your entire body, adding to that fuzzy feeling that comes from the buzz of a night of drinking. 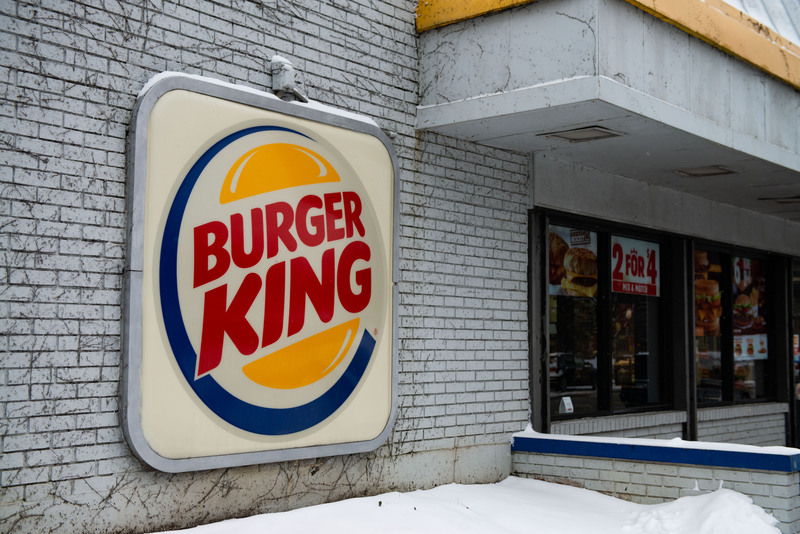 It is reliably good, which is simply why Burger King is the best place for drunchies. When everything can be overwhelming while drunk, there’s nothing as simplistic yet satisfying as its 10 piece chicken nuggets. You know you can always follow the light of the Burger King neon sign when you drag your drunk, stumbling self up Clark Street. It is a light that never goes out. Just like this year’s Super Bowl, no one is surprised. Bat 17, the intimate sports bar and sandwich shop located at 1709 Benson Ae., takes Best Sandwiches for the fourth year in row, in addition to Best Burgers. With a 12-page menu and an extensive lineup of sandwiches, Bat 17 offers winning options for all kinds of diets. Carnivores should opt for the juicy K-2 burger, but the “Funky Monkey” gives vegetarians their own towering sandwich. Even the salads stand out. The barbecue chicken salad is certainly not a lighter alternative but is filled with veggies. The breakfast menu is also a fan favorite. Available all day, French toast and the breakfast BLT can be ordered later into the night. Evanston residents can also catch the football game and a complimentary cup of coffee. With entertaining food names and Northwestern hero Pat Fitzgerald painted across the wall, no one leaves bored. Keep coming back and join Bat 17’s rewards program, where frequent eaters get $25 off once they reach 200 points. Although a little pricier, the portions and the intimate space make the restaurant not just worth it, but also a Northwestern favorite. In the beginning, there was North Shore Pizza Company. 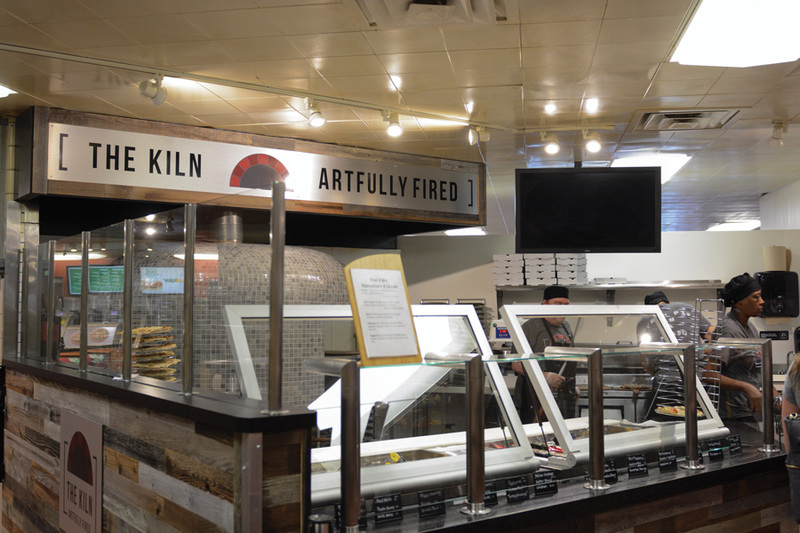 The pizzeria on the ground floor of Norris University Center served up late-night slices until 2017, when it was replaced with build-your-own option The Kiln. That, too, was shuttered during last year’s Norris ground floor redesign. 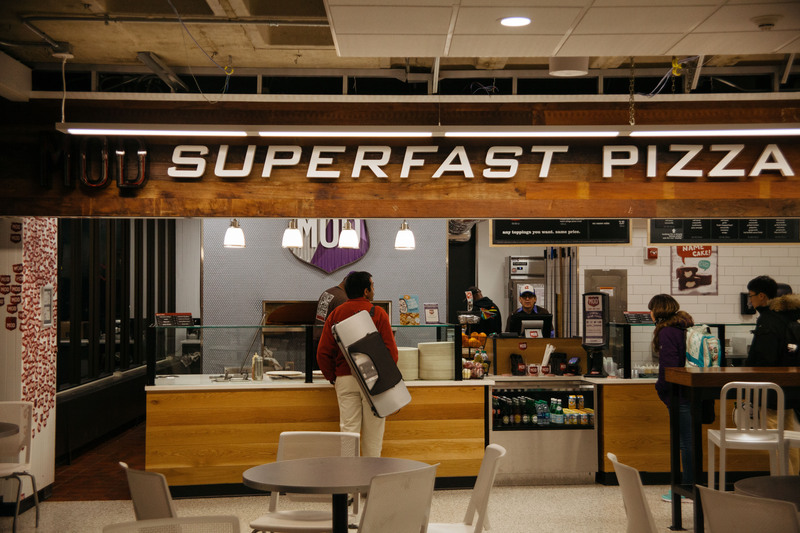 Rising from the ashes of The Kiln, MOD Pizza opened in October as the latest eatery trying to fill the pie-shaped hole in students’ stomachs. The new restaurant on the block seems to have won over those who frequent the student center, taking Best Norris Eatery in this year’s poll. MOD, a Seattle-based chain with locations across the country, is “the original superfast pizza experience,” according to its website. The Norris location serves up pizzas and salads, with each offering “classic” pre-built selections and customizable options. A MOD-sized pizza or salad with unlimited toppings will set you back a little under $10; or, if you’re on a NU meal plan, you can opt to trade in a swipe for an adorable mini pizza, supplemented kids-meal style with a water and piece of fruit. Though Norris pizza spots have been short-lived in recent years, MOD may end up being the one to stick it out. Its customizable options give the dining experience a personalized flair and a constant sense of newness. And, amid the harsh brightness of the fluorescent lights, the ever-friendly service of the “MOD squad” brings a genuine warmth to the ground floor. 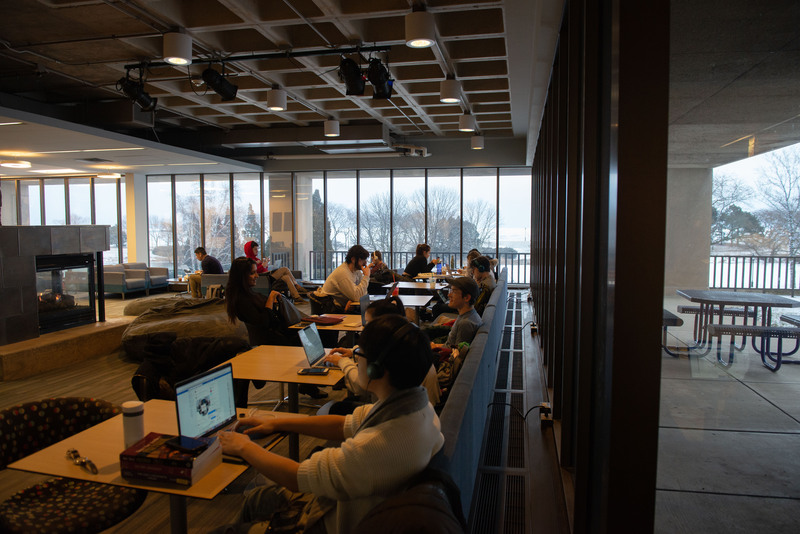 Here’s hoping our new favorite Norris hotspot keeps us happily carbo-loaded for many study sessions, group meetings and between-class breaks to come. 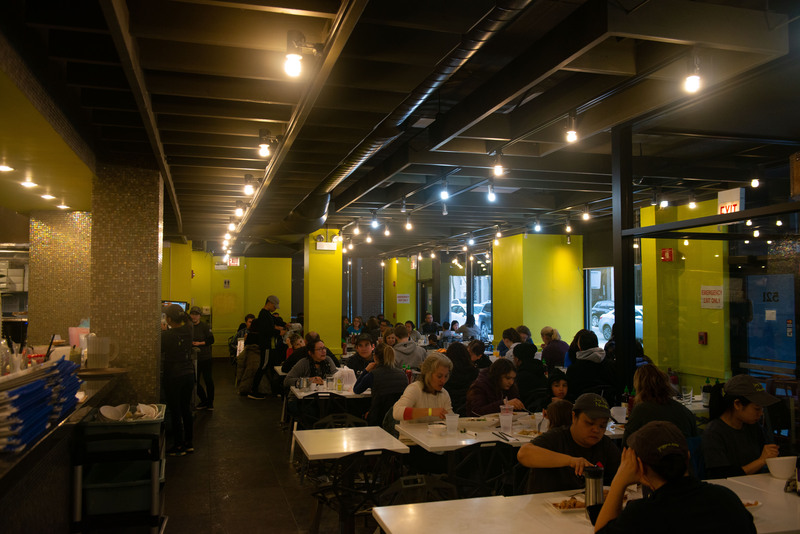 Even in below-freezing winter temperatures, Andy’s Frozen Custard continues to serve up sweet desserts for students and Evanston residents alike. Once again, this crowd-pleaser won the award for best dessert, for the fifth year in a row. The shop, 719 Church St., is known for its concretes: custard with toppings blended into a thick, creamy treat. Chocolate lovers can indulge in the Triple Chocolate Concrete, a combination of chocolate frozen custard, chocolate chip cookie dough and melted chocolate chip. For those preferring the fruitier side of desserts, the Original Straw-Ana — a sundae of vanilla frozen custard topped with strawberries and banana slices — is the way to go. The menu doesn’t stop there. The store offers malts, shakes and old-fashioned sodas, and it even has a dairy-free option of Zarlengo’s Italian Ice. There truly is an option for everyone, and even if it’s not explicitly on the menu, you can create your own sundae and hand-select your preferred toppings. 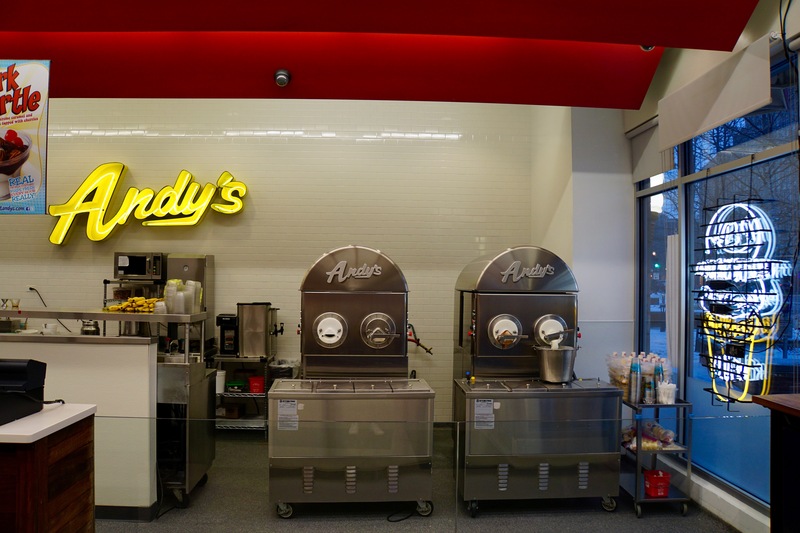 Andy’s makes its custard fresh, a process visitors can watch in-store as they enjoy their Butter Pecan Concrete or Andy’s Banana Split. Depending on the season, Andy’s offers specialty creations, like the Cookie Casanova Sundae, which became available in mid-January. You can enjoy one of these sweet treats for around $5. If you’ve ever wanted to commandeer a table at the fictional MacLaren’s or Paddy’s Pub, Celtic Knot Public House might just be the next best thing. The Church Street bar will make you feel like you’re in a sitcom with your friends, sitting at your regular table in the back with a cold beer and a crazy night ahead of you. Celtic Knot offers an extensive beer list, including specials like the “Dark and Tan” — which mixes light and dark beer — and the “Snakebite,” a combination of beer and hard cider. Their drinks are a far cry from the fruity cocktails of other Evanston establishments. But the simplicity, when combined with the lively atmosphere, is a hallmark of a classic Irish pub. “The Knot,” as it is affectionately called by its NU regulars, also serves dinner, bar food and Sunday brunch. The “pub grub” menu features any and all drunchies a college student could desire, from fried pickles to burgers to mac and cheese. The pub also offers some Irish classics, like Shepherd’s Pie and Bangers & Mash, for adventurous eaters. Part of The Knot’s appeal is its affordability. Drink specials include $4 pints that vary by the day, as well as an everyday $3 beer and $6 cocktail. Whether you’re seeking a cheap buzz or deliciously greasy pub food, Celtic Knot is the perfect place to imbibe on a budget. 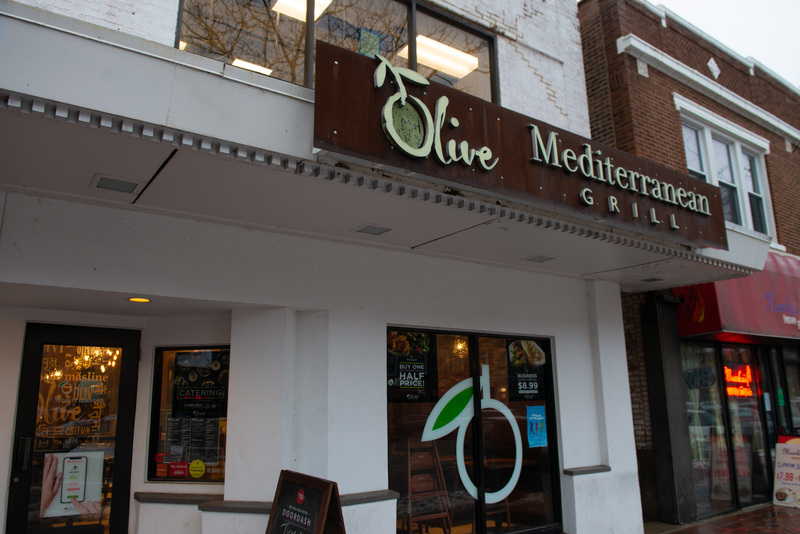 This year, Olive Mediterranean Grill has beaten Blind Faith Cafe at their own vegetarian game. Though Olive Mediterranean doesn’t market itself as a vegetarian mecca, they offer something that veggie-eaters may crave — flavor. The Mediterranean fast-casual restaurant has six locations in the Chicago area, the closest being its Sherman Avenue storefront in Evanston. The establishment has a spacious seating area for those dining in, as well as quick and easy take-out for customers on the go. When you approach the counter to order, you’ll be faced with a tough question: sandwich or plate? Fear not — both options include fresh pita bread, either stuffed full of hummus and tabouli salad or simply on the side. Olive Mediterranean offers falafel as the main entree for its vegetarian diners. The falafel is crispy on the outside and perfectly soft on the inside, pairing beautifully with any sauce, salad or side. Between the creamy Persian yogurt sauce or classic hummus, you really can’t go wrong. Though they aren’t listed on the in-store menu, the garlic potatoes are a standout side worth asking for. The restaurant also offers a Mediterranean speciality dessert: sweet, sticky baklava. Taking your parents to experience Sargent Dining Hall is not the best way to spend their limited time in Evanston. Although Sarge’s root beer glazed ham and dry chicken are coveted delicacies, Farmhouse’s farm-to-table cuisine will make your parents actually want to come back. Farmhouse is the four-time consecutive winner of Best Place for Dinner with the Family, likely because of its local ingredients and homey interior. 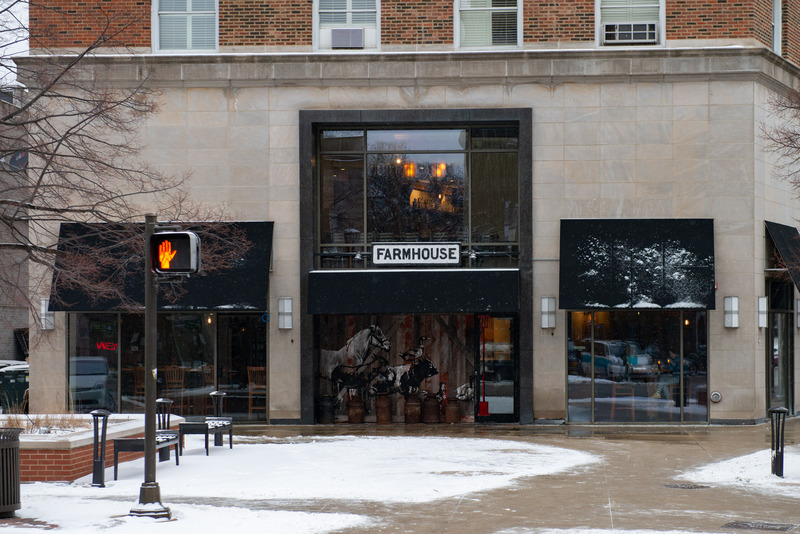 The restaurant, 703 Church St., was created by Farmheads, a hospitality group that provides a Midwestern feel, according to Farmhouse’s website. The decor is warm and rustic, with wooden tables that give your family a taste of Midwestern culture. Exposed lamps and mason jar flower pots provide an intimate atmosphere that is perfect for your parents asking why you don’t call them more. Although their website advertises their affordability, the only time you can spend $15 on a burger is when your parents are in town. Their delicious cheese curds and juicy half chicken will keep you full until the next time your parents come to town. After four years of being named the best place to take your family, it is probably time to take your family. Their meals will make you feel at home and your parents will get to enjoy a taste of Evanston. Walking into the restaurant, you’re immediately greeted with bright colors and a warm atmosphere; PEZ dispensers line the shelves, license plates and amusing quotes adorn the walls and miscellaneous figurines give the space its retro, playful feel. In short, Cozy is your inner child’s dream. 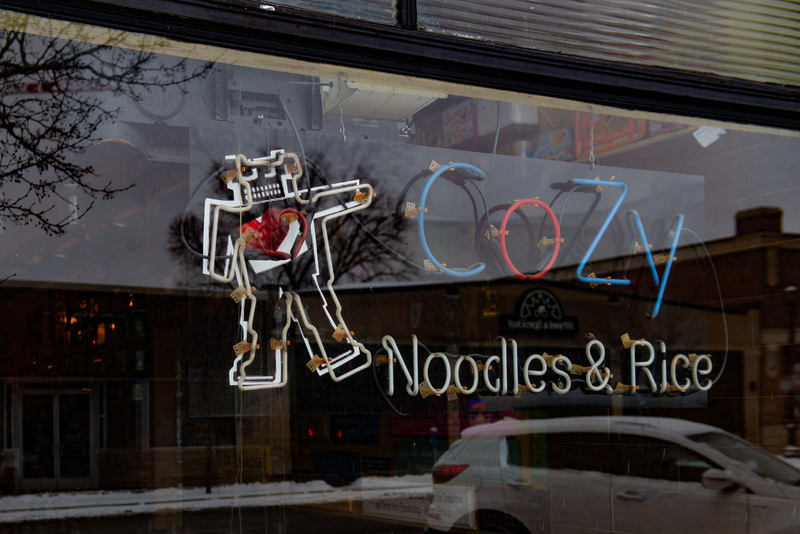 For the first time, Cozy Noodles and Rice, 1018 Davis St., has been crowned Evanston’s “Best Bite for Your Buck,” dethroning last year’s winner, Joy Yee’s Noodles. If you try your luck at Cozy on a Friday night, expect a wait of at least 15 minutes. This BYOB-establishment has long been a student and local favorite and it’s not hard to see why; it’s a place that boasts incredible food, huge portions, friendly service and affordable prices all in one. While their menu features a wide variety of traditional Thai cuisine like Pad Prik and delectable curries, you can’t go wrong with one of Cozy’s noodle or fried rice offerings, as its name suggests. My personal favorite is the Pad See Ewe, stir-fried wide rice noodles cooked to perfection with egg, broccoli and soy sauce. It’s a classic Thai dish that strikes the perfect balance of savory and sweet, and is sure to leave you fulfilled. Cozy also serves up a delicious Pad Thai, and if you’re more adventurous, you can indulge in its spicy Pad Khee Mao or curry fried rice. Whether you’re planning a group outing with friends, treating yourself to a night out or looking to impress a date, Cozy is a place that will go beyond fulfilling your food cravings and won’t put a dent on your wallet. While its large menu may seem daunting at first, try a new dish at your leisure; it won’t be long before this eccentric, charm-filled restaurant lures you back in for more. The unequivocal definition of perfection manifests itself in the first bite of a Chipotle burrito bowl, contained on the plastic black edges of your fork like the kinetic energy of a diver whose toes are hanging over the edge of a board. So no matter what’s getting you down — homesickness, heartbreak or hangover — what are you waiting for? Dive in. 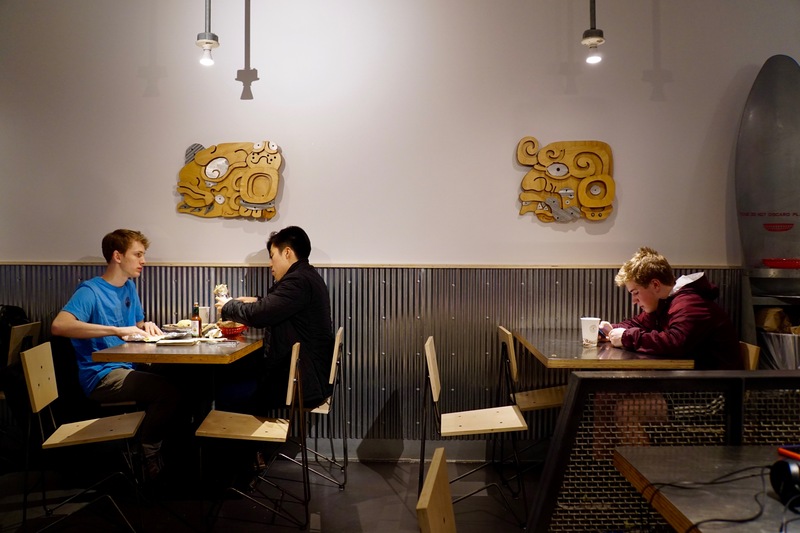 The Evanston spot is one of over 2,000 Chipotle locations worldwide, as the 25-year-old titan of the fast food industry strides toward global acclaim through delectable Mexican cuisine. 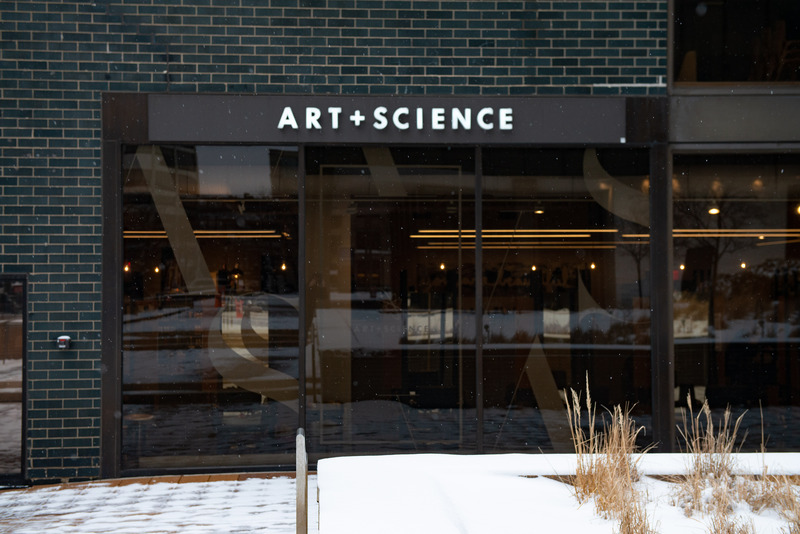 Located near the intersection of Church and Orrington, the storefront is nestled in the heart of downtown Evanston, just a short walk from the southernmost part of campus. To any frequent Chipotle visitor, the decor is familiar, metallic bar stools lining the silver countertop alongside the store’s floor-to-ceiling window. The glass partition and assembly line construction of the meal are inviting, and their uniformity with other Chipotle locations ensures you know what you’re going to get. The menu is simple, a comforting constant in our chaotic world, and features burritos, tacos, burrito bowls, salads and the “secret option” of a quesadilla. To top off your meal, consider Chipotle’s famous chips and guacamole, prepared with a smattering of salt and a ton of tender loving care. For all of its sameness, your Chipotle saga will always have a familiar end; you’ll find yourself warm and satisfied, like meeting an old friend. Move over Starbucks, Peet’s and Unicorn — there’s a new coffee shop in town. 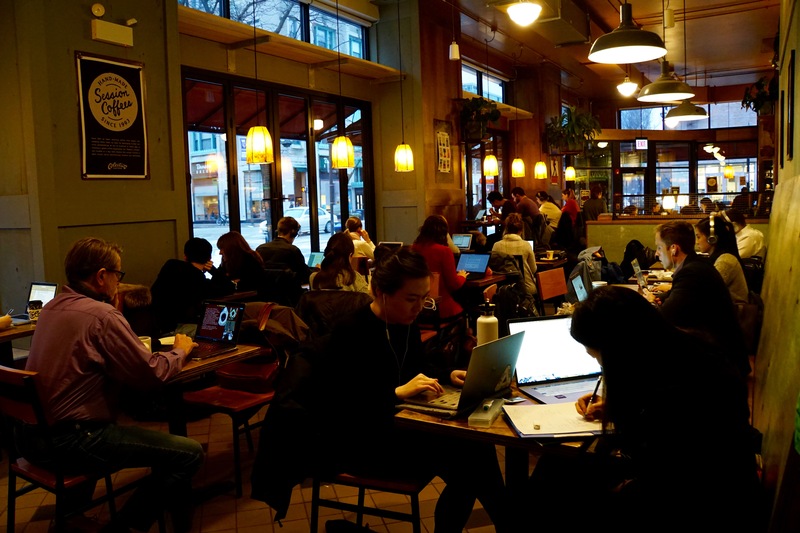 Colectivo has set up shop in Evanston (rest in peace Radio Shack, we never knew thee), which means Northwestern students looking for a cup of coffee and a spot to study have yet another place to flock to where there inevitably won’t be enough seats or outlets available. The Milwaukee-based chain now has four cafes in the Chicagoland area, with plans for a fifth. 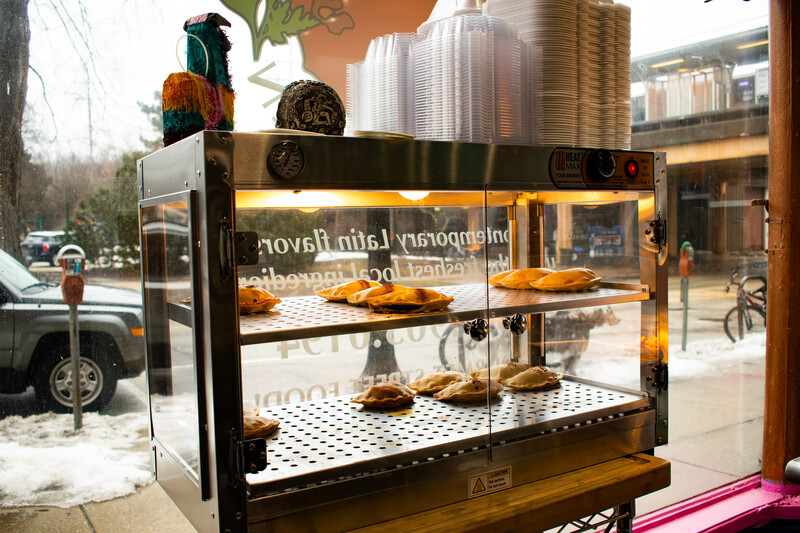 If you do end up as one of the lucky few and snag a chair during a particularly busy hour, Colectivo is sure to impress with their broad selection of coffee and baked goods. Their coffee is roasted in Milwaukee and their food is prepared from scratch — the potato bacon burrito and chocolate croissant are both solid choices for breakfast or a study snack. And for those looking to elevate their study sessions in a more boozy manner, fret not: Colectivo is set to add a selection of craft beers on to its menu to cater to those who like to tackle their psychology reading or Math 230 problem sets with a side of ale. 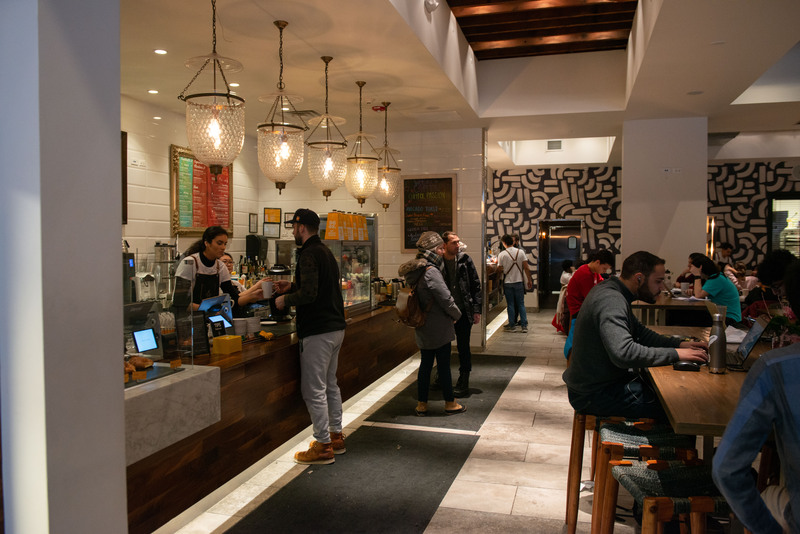 Ever since Colectivo opened its doors this fall, Northwestern students and Evanston residents alike have flocked to the chain, which features communal and individual seating, light wood finishes and warm overhead lighting that create a cozy atmosphere. It’s not the quietest coffee shop in Evanston, but the hustle and bustle means you can either pop in some headphones and focus in with ample background noise, or use it as an excuse to abandon your paper and chat with friends. So check out Colectivo for a good cup of coffee, a bite to eat and (maybe) a place to sit, if you’re lucky. Anna Wintour has her bob. Zooey Deschanel has her bangs. Jonathan Van Ness has his luxurious brunette locks. A signature look is hard to find. Luckily for those of us who have had the same haircut since middle school, Art + Science is here to help take you from anonymous to iconic. Once again, 1629 Orrington Ave. is the home of Evanston’s best salon. Taking home a win five years running, Art + Science provides trendy styles, cuts and colors for all. It’s the perfect place to try a risky fad like a side-shave or a stress-induced Winter Quarter impulse dye. Even if you aren’t sure what you want, the crew at Art + Science can get you looking like an Instagram baddie in no time. Known for their top-notch quality and friendly staff, this is the place to go to find your new signature look. The salon offers a versatile range of services, so whether it’s a bold neon color or subtle highlights, Art + Science will take your brand to a new level. And as we know in this post-Fyre Festival world, branding is everything. The salon not only follows trends; it sets them. It’s the fun, artsy friend who always knows what’s cool a month before anyone else. Although their services aren’t cheap (salon cuts starting at $60 and barber cuts starting at $50), the 10 percent Wildcard and 20 percent referral discounts help you stay on trend without going broke. Imagine this. It’s Tuesday night, and you woke up at 9 a.m. for a bio midterm that you think (definitely) failed. Hinman Dining Hall just did not do it for you and now you’re sad, sitting with a half-eaten plate of cold fish sticks. But one thing can turn it all around. The second movie in the “Bad Moms” series: “A Bad Moms Christmas.” Is it a good movie? No. It got 31 percent on Rotten Tomatoes and centers around three under-appreciated moms who have to deal with their own mothers dropping into town unexpectedly around Christmas. But you don’t need to a quality movie, what you need is to buy a cheap ticket and lose yourself in the plush red seats of the Century 12 movie theater. A Wildcard discount brings a student ticket price down about 13 percent, and while it isn’t necessarily the highest discount a Northwestern student can secure in all of Evanston, it certainly is the best. For the low price of $10.70 for a standard 2D movie, you can escape the world of internships, classes and the bitter cold of Winter Quarter. On Tuesdays, the theater even offers $5 (well $5.89 with tax) movie tickets for everyone, not just Northwestern students. The theater even has a bar serving beer, wine and frozen beverages. But my personal favorite is a large popcorn with an extra helping of artificial melted butter and Buncha Crunch poured over the top. 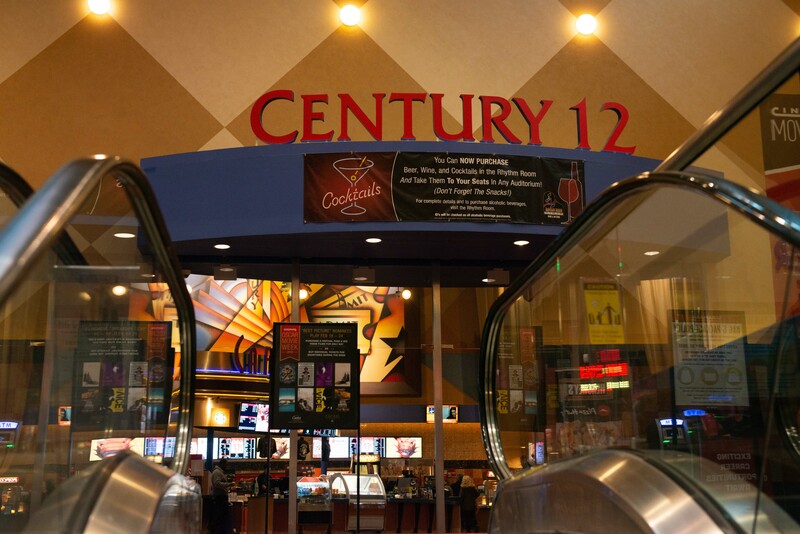 Whatever movie you see or snacks you order (or sneak in from Target around the corner), Century 12 Evanston has it all. 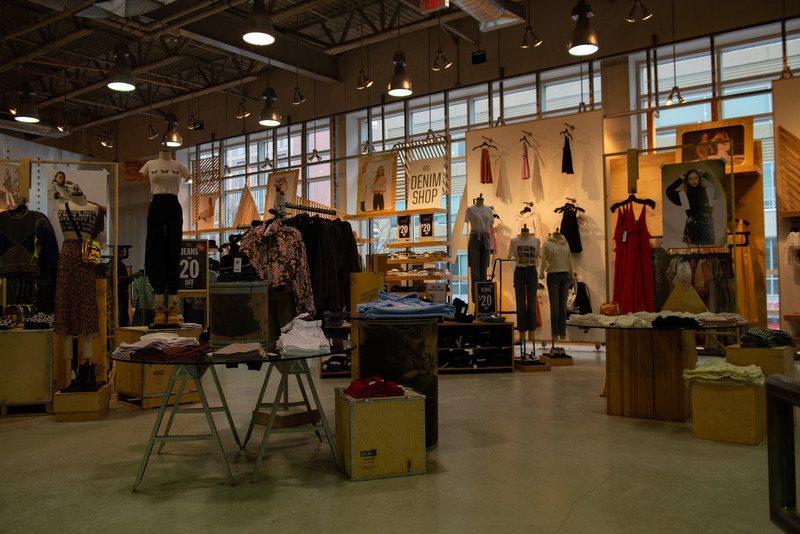 A quick jog off campus, Urban Outfitters offers Northwestern students everything from brand name undergarments to handy dorm decor. The “lifestyle retailer” located at 921 Church St. is well known for on-trend classics such as ribbed bodysuits and Champion sweatshirts. The store’s lower level also features skincare lines such as Mario Badescu, accessories like layering necklaces and trendy gadgets such as cassette players and FUJIFILM cameras. Lining the checkout line are bins of miscellaneous items including bundles of scrunchies and squishable foam creatures. Upstairs, shoppers can find the extensive lingerie section featuring classic lace bralettes and Calvin Klein loungewear. Nearby, the UO Home collection boasts home goods such as neon signs and cute dishware. NU students can work on their mood lighting by purchasing fairy lights or snag a raccoon-shaped mug for their late night coffee breaks. However, the hidden gem of Urban Outfitters is the sale section on the top floor which is constantly full of discounted basics. While the majority of the store trends towards higher prices, the sale section often holds items ranging as low as $5. Here you can find everything you need for your next formal with reduced price dresses, undergarments and tights. Urban Outfitters caters to every occasion, from a sale section tank top for a last-minute Halloween costume to your next favorite polar-vortex-proof blanket scarf. Have you ever been grocery shopping and halfway through thought to yourself that you could really use some more hangers, or new earbuds, or maybe a decorative planter to match the season? Welcome to the multiple facets of Target: part grocery store, part clothing shop, part home goods bonanza. Although the store’s range of goods is a bit mind-spinning — I mean, where else can you buy a trash can, a set of sheets AND makeup? — its grocery section stands out. For starters, the store boasts a formidable liquor aisle full of booze ranging from affordable to the pricey, and there is plenty of prepared food that just take a few minutes in the microwave to turn into a high-quality meal. Although the store is frequently out of popular items, it’s still the perfect place to go if you need a few things to complete a meal or to get through the week. Go with a shopping list, though. Target is a dangerous place for those with an empty stomach and bad spending habits. A trip to get three apples, baking soda and eggs can quickly turn into a $50+ bill that includes cake mix, avocados and some strawberry seeds you’ll definitely remember to plant come April. As a freshman, I found Main Library confusing and terrifying — overwhelmed, I would head to the computer lab and not venture further. When I think about how I needlessly tortured myself in the silence and high ceilings of Deering, I shudder. Main has since seen me through many all-nighters, frantic print jobs before class, chaotic 4 a.m. shenanigans in the tunnel making Trillers with friends during finals week. I will never forget the first time I heard the freakishly loud 3 a.m. alarm, signaling a return to my cold, empty dorm room. The sound provides a needed chance to reevaluate your life, to know a world exists outside of the library, but you’re comforted knowing you can always come back in five hours. Main is truly the best study spot on campus — where else will you get an understanding nod from the snack cart man, the terror of dropping your metal water bottle in the crowded periodicals section, the pleasure of losing all sense of time and reality while studying in the map room? I don’t feel anger toward the students who flood Main around week 8, realizing finals are coming up and they actually need to study, and take up all the available tables with their venti iced coffees and granola bars. In fact, I feel pity. For the whole quarter, they have deprived themselves of the comfort of a silent computer lab as you calmly write an entire English paper two hours after it was due. They don’t understand the joy of blasting “thank u, next” in a basement classroom with two of your friends after finishing one homework problem. Who am I to deprive them of this experience by guarding a table myself? But that’s OK. Main Library understands. She knows the impact of emerging from the library all alone, bleary-eyed from a night of studying, to see the vibrant pinks and purples of a 6 a.m. sunrise. Most importantly, she has seen every mood, from joy to fear to hunger. There are no more firsts for 1970 Campus Drive. And that’s why Main is the best study spot on campus — nothing surprises her anymore. At some point in the past, Northwestern decided its lakefront property was too boring, too drab, too small. It needed to be bigger! More curvy! With trees! So, we have the Lakefill, where mean geese and students can enjoy the light pollution emanating from Chicago and the occasional deadly blast of wind rolling off Lake Michigan. That may be a bit harsh. What’s not to love about the Lakefill? It’s the most iconic part of Northwestern’s campus — no one comes to this school because we have a really nice-looking arch, after all. The view on the lakefront is truly breathtaking, whether looking down towards Chicago or out to the horizon. It will make any date more romantic, helping turn awkward chit chat about your majors into a deep conversation about Why You Are the Way You Are. It’s not just for dates. There’s something about the Lakefill that can turn around a humdrum day. It’s the perfect place to go and ignore all your obligations when they become too overwhelming. Sit on a rock, listen to the waves gently crash onto the shore, and breath in that fresh lake air. While you’re there, befriend a raccoon, learn her secrets, then drop out of Northwestern to go live with her. All thanks to the Lakefill! It’s parent’s weekend and you need to find a sweatshirt for your mom. There’s a huge tailgate tomorrow and you just have to wear those purple-and-white striped overalls. You’re about to go home for the holidays and you want an affordable purple mug for your sibling. 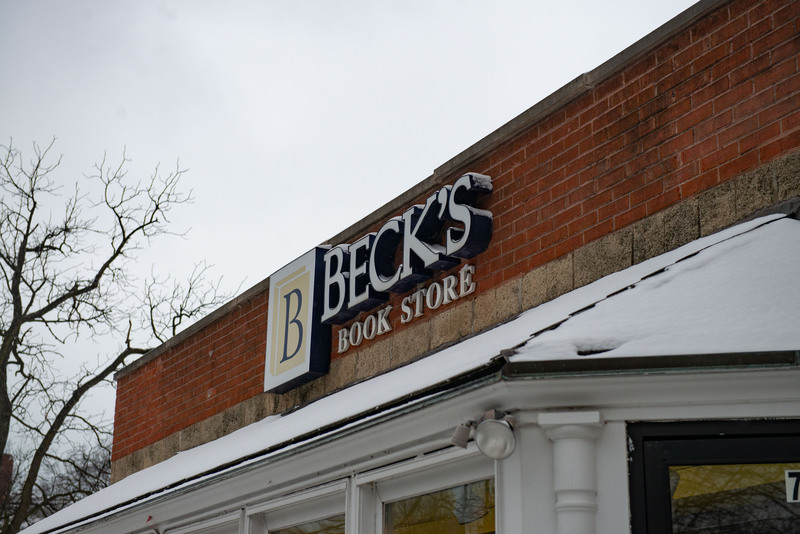 No matter the occasion, there’s a store that has it all — Beck’s Book Store. Beck’s, located at 716 Clark St., is a purple paradise full of Northwestern apparel, making it this year’s “Best Place to get Northwestern Gear.” The shop serves many functions. 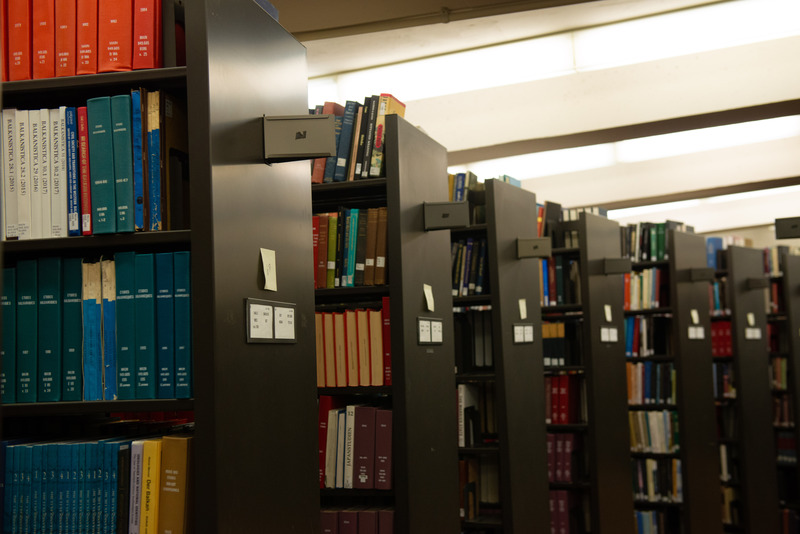 Students can buy, sell and rent new and used textbooks in addition to perusing and eventually purchasing Northwestern athleisure, jerseys and quarter-zips. Beck’s is always right on-schedule with new, matchup-specific apparel appearing in the window for all of the big football games. Have I paid for a Northwestern-Notre Dame homecoming long-sleeve t-shirt knowing that I would not have a reason to wear it again? No, no I didn’t. But, I thought about it. Open since 2005, Beck’s offers a Wildcard discount of 20 percent off of clothing and gifts for University faculty, staff, contractors and part-time employees. In summary, you can get iconic tailgate staples like the No. 51 jersey, the hockey sweater and the purple game-day skirt to impress Brad from Phi Psi while also renting that textbook you’ve been putting off. At Beck’s, you can truly have it all. For yet another year Joy Yee’s Noodles was crowned as the Best Takeout, proving once again that size does matter. From the size of the menu to the mammoth portions of its pan-Asian cuisine, the only things about Joy Yee’s that aren’t large are its price tags. At 521 Davis St., residents can enjoy boatloads of a variety of beef, pork, chicken, seafood or tofu dishes for $15 or less. Try some dumplings, 10 pieces for $6.95, get a little adventurous with some sea eel or indulge on a hefty plateful of Joy Yee’s signature sesame chicken. Better yet, you’ll very likely have leftovers for a much-needed late-night snack or when you just can’t tell what they’re serving at Allison. Order anytime from 11:30 a.m. to 10 p.m., which is probably just enough time to properly survey its expansive menu of a variety of tastes. With over 100 dishes, there’s sure to be something to satisfy all of your friends and not make a huge dent in anyone’s wallet. For all the noodle lovers, there’s Pad Thai, low mein, chow mein and about 40 other dishes that have some sort of noodle in them. If you just want some dessert or a refreshing beverage, have one of the many milk teas or fresh fruit freezes. 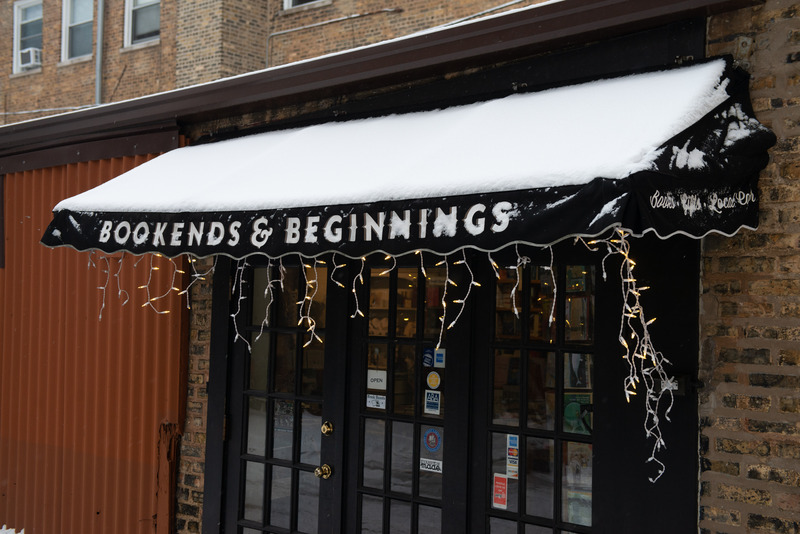 If you’re looking for a literary haven in Evanston, Bookends and Beginnings might be right up your alley. For the third year in a row, Bookends won best bookstore. Hidden from the street in the alley behind Sherman Avenue, Bookends and Beginnings is next-level indie. Invisible to the passerby and hidden behind brick walls, the shop is Evanston’s Diagon Alley. Owner of Bookends Nina Barrett (Medill ’87) always welcomes students looking for a place “where the books speak to you.” For Barrett, small bookstores were an essential part of her college experience, and through Bookends, she can pay it forward. Stay awhile. Get lost in the secret bookstore. Your bibliophile self might be hiding in the shelves. 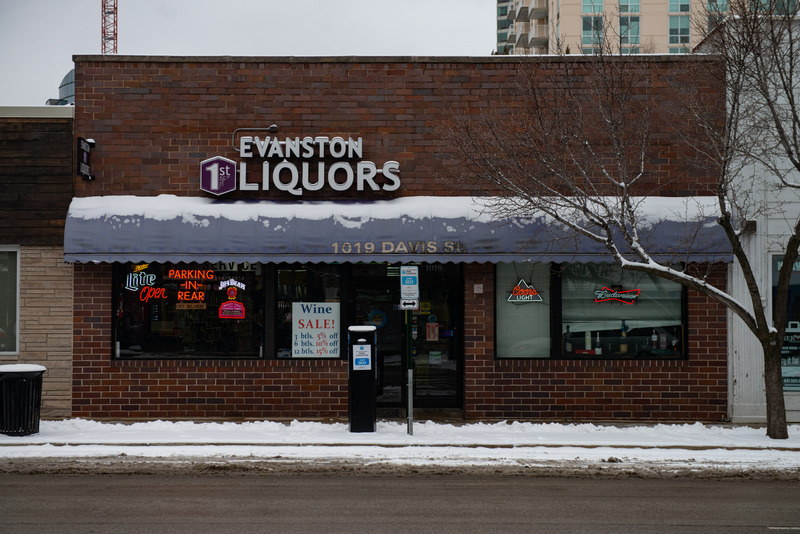 Evanston 1st Liquors has snatched the title of Best Liquor Store in Evanston for the third year running, and if you frequent the establishment, you won’t be surprised. 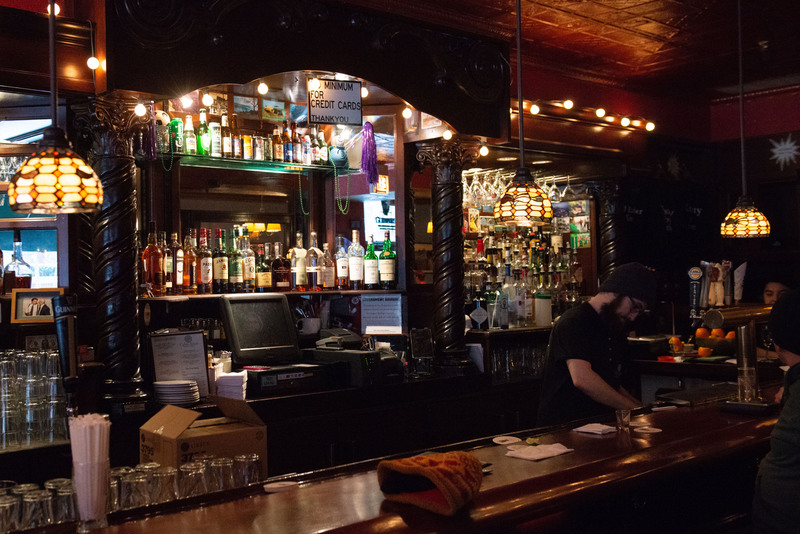 With a little bit for everyone, the Evanston mainstay, located at 1019 Davis St., boasts rows of everything from specialty bourbons to racks of Natty lights. If you’re not picky, a table of red-stickered sale bottles greets customers within the first couple yards of the entrance. I myself have picked up $8 bottles of rum and sampled questionable vodka flavors for cheap. If you ask me though, what makes EV1 — as the locals call it — the best is its customer service. Multiple times I have entered the store to buy a case of beer. The clerk at the south check out counter always reminds me to grab cases from the cooler and always offers to help lift the block into my cart. The clerk on the north side of the store is a gem as well. He has offered up boxes to make transportation of larger transactions easier and thrown a few free limes my way as well. He has recently gotten me to sign up for the store’s rewards program, which will be utilized to the fullest. There are plenty of places in Evanston to buy that bottle of Fireball, but nowhere else will you receive the same amount of kindness and hospitality. If you want a place to study in peace, Norris University Center may not be for you. It’s loud, to say the least. Theatre majors practice lines and spread gossip without shame, and the baristas at Norbucks shout your (incorrectly spelled) names with reckless abandon. There are senior citizens meeting every week for … something? And if you think you can get hot chicken without seeing your ex, you’re sorely mistaken. You can and will run into someone you kinda-sorta know at Norris: the girl who lived across the hall freshman year, the boy in your PA group who never stopped talking about what distros he planned to take, even the professor who mixed you up with at least five other people in your class Fall Quarter freshman year. But if you can get over the loudness and the possibility of seeing every demon from your past, you’re primed to have one of the best people-watching spots on campus. It’s the very chaotic evil of Norris that makes working and eating there so enjoyable. You can sip that iced chai while listening to Jason from econ complain about how hard consulting is and you can grab the famed Asiana Foodville while hearing Susan (the girl who ran your audition for the a cappella group that dropped you the next day) explain how she can’t wait for spring break in Cabo. Northwestern students can be annoying, and Norris may have the highest concentration of whiners on campus, but at least you’ll never be bored. If you’re looking for a true show, skip that Wirtz production and head on over to Norris to people watch instead — you won’t be disappointed. 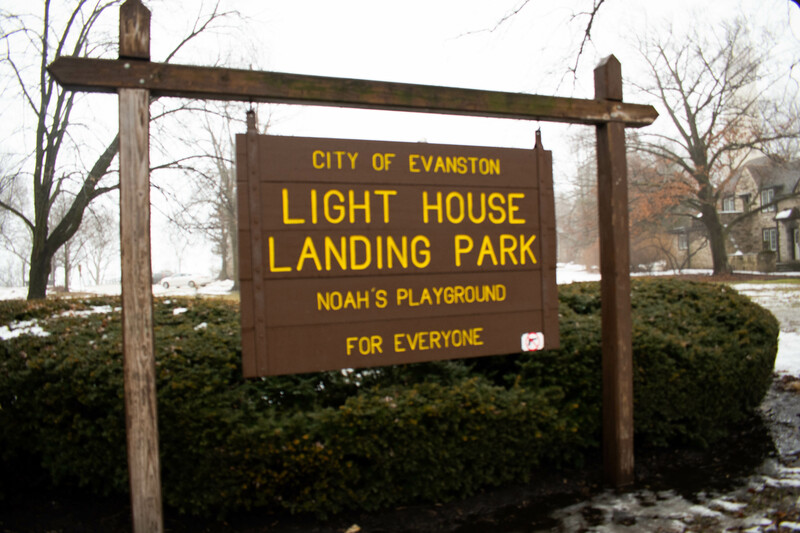 Evanston is a city of parks. 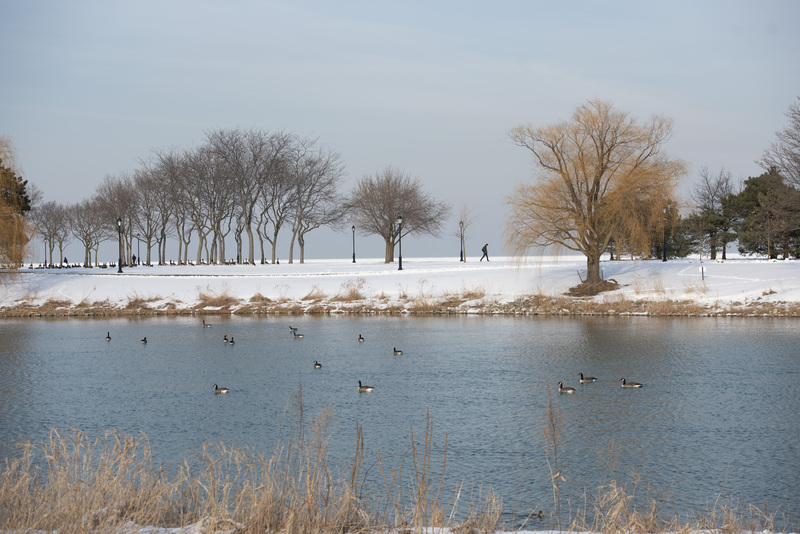 With almost 90 registered parks, another six beachfronts and the Lakefill, Evanston has plenty of recreational options for when the winter chills turn into summer thrills. But only one spot — Lighthouse Beach — could take the crown as Best Park. What sets Lighthouse Beach, located two blocks north of campus on Sheridan Road, above the rest is its multidimensional nature. It is not the biggest park, but with Lawson Park, the Harley Clarke Mansion and Grosse Point Lighthouse adjacently located, it is not just a beach. It is also a playground and a historical area. In a world where utility and adaptability have become increasingly important, Lighthouse Beach can be your do-it-all park. Want to spend a Friday afternoon chilling with your friends? Lighthouse Beach has plenty of space for activities. Want to spend that first really nice day of the year in the water? Lighthouse Beach has plenty of lake. Want to learn something new about Evanston? Grosse Point Light— the first lighthouse on the Great Lakes registered as a National Historic Landmark — has tours during summer weekends. Want to chase seagulls? They show up for the memories. Want to spend a Sunday morning with your toes in the sand, watching the sun rise above the horizon? You know where to go. Now, Lighthouse Beach is not perfect — you and your three-on-three team cannot run the court because there are no hoops. But, for almost any situation where you need a park in your life, Lighthouse Beach can provide exactly what you need. 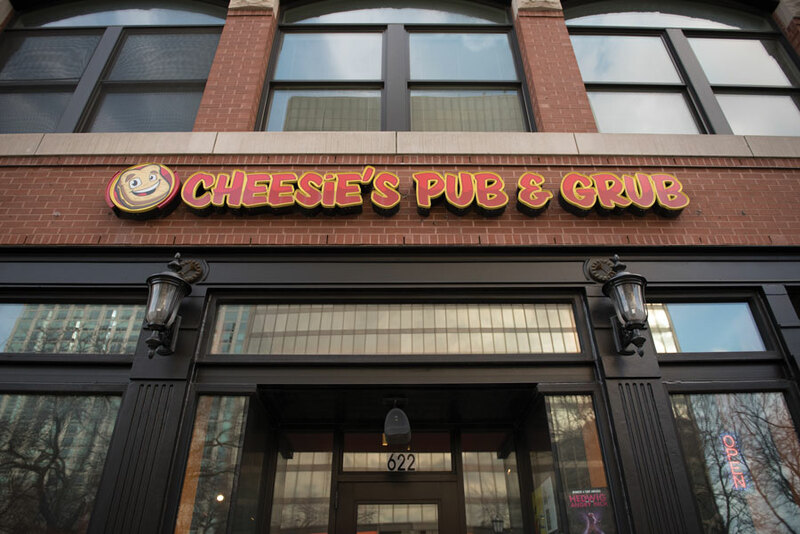 When students returned to campus in fall of 2018, a dark cloud hung over Evanston, a city still reeling from the loss of a local legend only months prior: iconic eatery Cheesie’s Pub & Grub. The winner of Best Drunchies five years running, eager patrons flocked to the Davis Street storefront to get their cheese fix. This hallowed ground, just a shell of its former glory, will live on in spirit until it's nothing but a distant memory of middle-aged NU alums. Just as the Egyptian pyramids and the Roman Colosseum harken back to great civilizations of the past, so too does the empty rental space where Cheesie’s once stood. They say only the good die young, and nowhere is that truer than in the case of Cheesie’s. My heart sinks — my latest tweet about The Kiln, NU’s former fast-baked pizza joint in the bottom of Norris, has gotten nothing but hateful comments. As I try to see through the tears, the reality of the situation sets in: No one respected The Kiln. Yes, it’s true. My favorite restaurant on campus, nay, in Evanston, is The Kiln. (In)famous for its quick pizzas, The Kiln was convenient and delicious for a low price. One might think MOD fills the 12-inch hole in my heart, but they’d be mistaken. The Kiln blew other pizza joints out of the water. First of all, its toppings remain unmatched. Where else could I get a slice with squash, prosciutto, goat cheese and balsamic glaze for so little? Second, its service was always lightning fast — it felt like I was waiting in line for mere minutes, no matter how many people were in front of me. Within the first few days of being open, those heroes served 127 pizzas in under an hour, which is no small feat. Legends only. Now, I’m forced to begrudgingly go to MOD for my pizza fix. Their insane prices and lackluster toppings weigh down my conscience while the rubbery dairy-free cheese plugs my arteries. So goodbye, Kiln. I’ll miss your even slices and varied toppings. It’s a shame you didn’t last to the meal-equivalency days, but it’s OK — that would have made you too powerful. 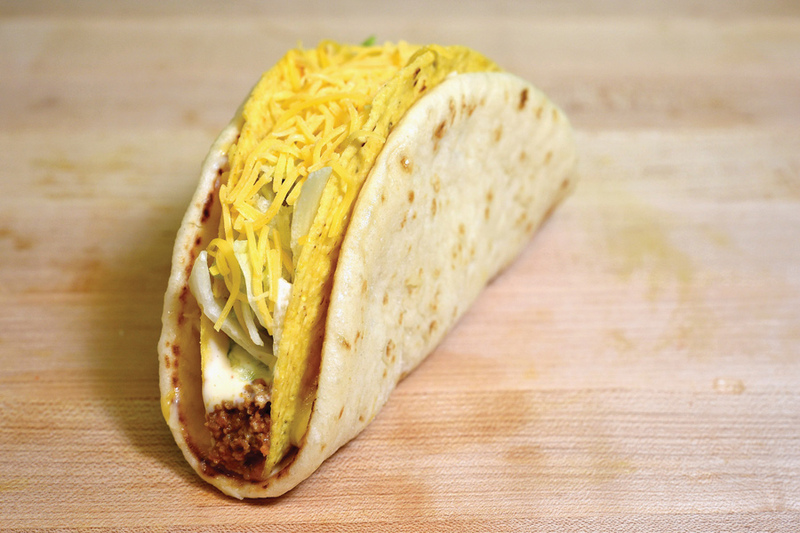 Prior to its tragic close in December, Taco Bell never won a Best of Evanston award, taking second place for “Best Fast Food” in 2013 and “Best Food You Later Regret” in 2014. Still, it deserves recognition for what it was: one of the cheapest (albeit most poorly-run) places to get a meal in Evanston. No one should claim Taco Bell to be quality, or even close to authentic, Mexican food. The average Taco Bell customer didn’t walk in expecting high-quality food and top-notch service. Taco Bell’s main appeal was the prices. You could walk in with $6 in your pocket and walk out with a full meal. Now, there’s no restaurant left in Evanston where that’s possible. Taco Bell could’ve been better. Closing at 11:00 p.m. (really closer to 10:30) on weekdays and midnight (11:30) on weekends probably diverted thousands of dollars spent by drunk Northwestern students to the Burger King down the street. Installing touch-to-order kiosks just a couple months before close probably was also probably unwise. Alas, with the demise of Taco Bell, Evanston residents will now have to go elsewhere in search of Loaded Grillers, Nacho Fries, Rolled Chicken Tacos, Quesaritos and more for the foreseeable future.